the Inspector Constable murder mystery story by Roger Keevil, where the detective finds himself in a sticky situation at Wally Winker’s Chocolate Factory. The boss has flaked out! Can our hero make a selection from the assortment of clues? Will he milk the situation until the facts are plain? And can he finally point the chocolate finger? 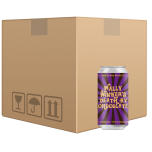 We brewed this beer with chocolate malt, roasted cacao nibs, chocolate essence and vanilla essence. 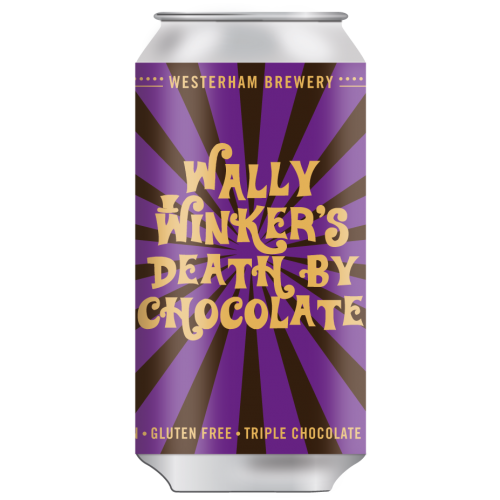 The rich and enticing chocolate aroma begs you to dive into the glass and drown in this luscious triple chocolate fantasy.....just like Wally Winker did. Wally Winkers Death by Chocolate has an intensely sweet, chocolatey nose balanced by a medium-dry flavour of bitter chocolate rounded out by hints of coffee and sweet vanilla. Coming in at an easy-drinking 4.5% ABV its light mouthfeel beautifully complements its rich aroma.